Stephen Boyanton is a writer and translator as well as a historian and practitioner of Chinese medicine. 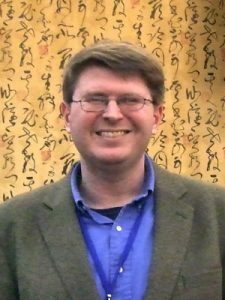 He received his MA in Religious Studies from the University of Virginia, his MS in the clinical practice of Chinese medicine from Pacific College of Oriental Medicine, and his PhD in East Asian history from Columbia University. His writings range from medical history and critical essays to fiction and poetry. He currently lives in Chengdu, Sichuan, China. Dr. Boyanton is committed to the use of spiritual principles to revitalize scholarly practice, higher education, and writing. He is convinced that the current paradigms are falling apart and require a radical rethinking that will preserve their best parts and allow them to continue to contribute to the coming of age of humanity.